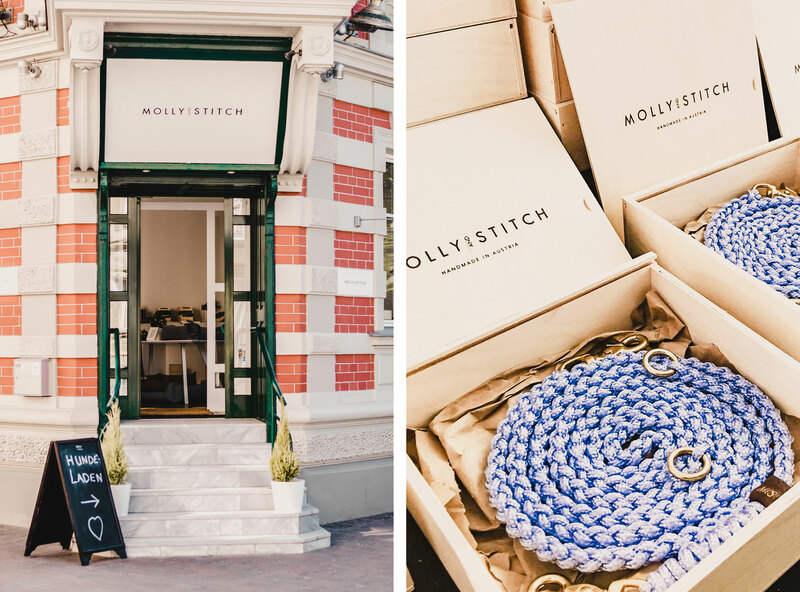 Louisa is the founder of the brand Molly and Stitch. 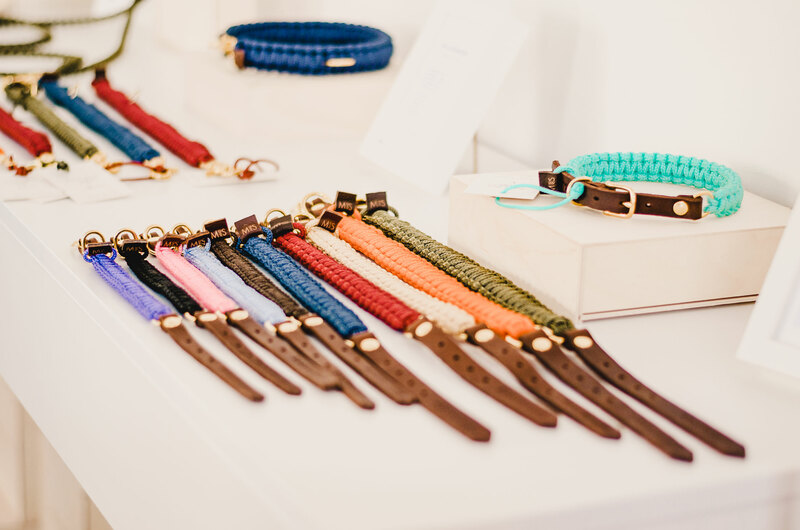 She was 27 when she founded a small brand that would later transform into what it is today. Currently based in Klagenfurt am Wörthersee, Louisa says that this is one of her dreams come true. Being able to offer her children the same type of childhood that she had – Green, close to nature, free and fun. Louisa is a mother of two. A 2-year-old boy and a baby girl of just 1 and as you might have already imagined, two of their family members have paws instead of feet, Suri and Micky. Apart from this, Louisa’s family is a very international family who is always ready to move and to travel. Louisa’s husband had lived almost in every continent and that makes it all easier when considering a new destination or journey. 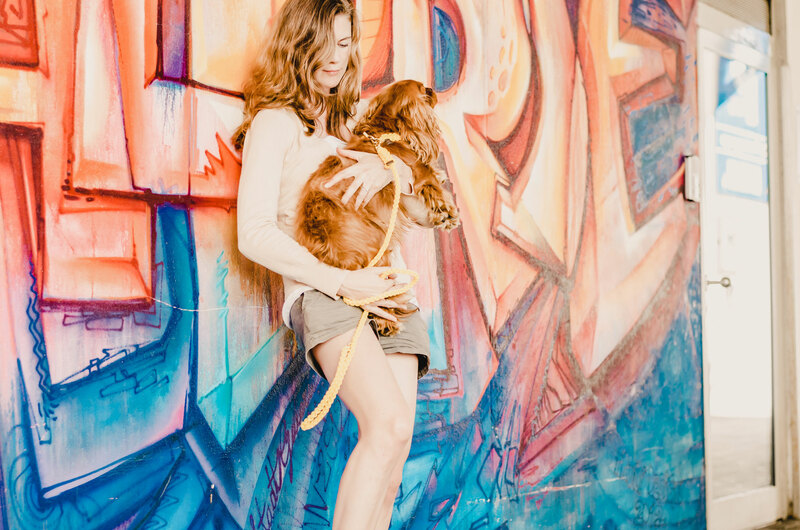 Staying still is their enemy, she says (and I couldn’t agree more…!). 1. How did it all start and when? Was M&S born from a necessity or was it always a dream of yours? Molly and Stitch was actually born from a necessity. I had always wanted to be a producer myself, but I honestly never thought I would be producing for dogs. Both, my grandfather and father had been entrepreneurs and they were great inspiration for me. “Find the solution to a problem and it will sell itself” Hans Hirsch. 2. You stand firmly by the “Made in Austria etiquette”. Do you also sell your products outside Austria or are planning to expand internationally? We are also present in the international market. 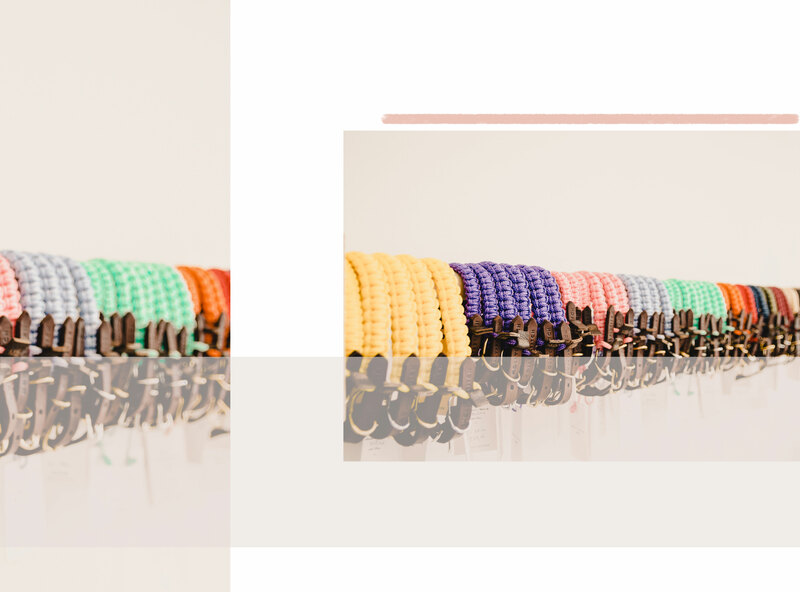 There were very little brands who could supply with the products we have, the braiding, the quantity and quality. 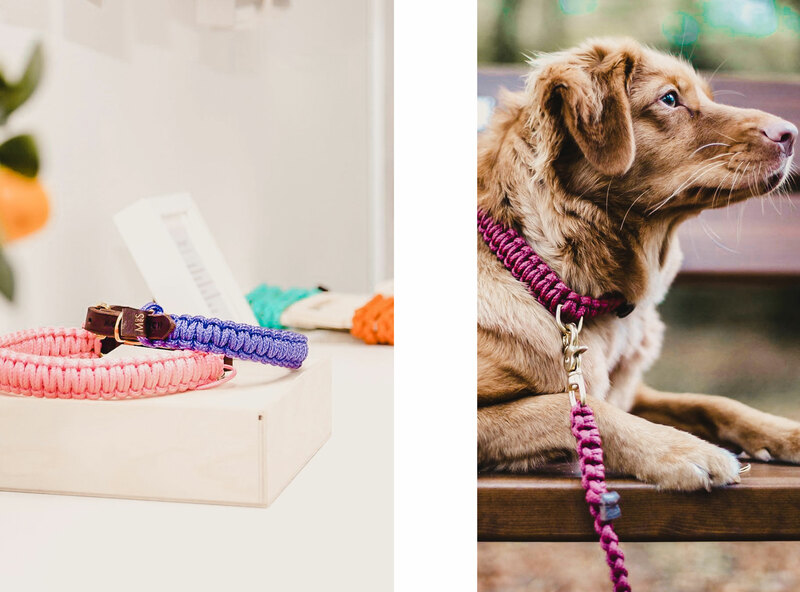 We also produce for other well-known companies at the same time too, but our main business are the dog accessories which are currently present worldwide. 3. What would a casual Monday in the life of Louisa look like? Our whole daily process is very easy going. I’m looking forward to arriving in the office since I wake up. It’s my passion. So we get up at 6 am and have breakfast and take care of the dogs. Then off we go, to kindergarten with the kids where I play for 30 mins with them before I leave for the office. As soon as I arrive at the office I go down directly to the warehouse. I love seeing those colours in the morning, it keeps me motivated too. Then it is working in the office until 12:30 (during summer) until the kids are back from kindergarten and it is time to do fun stuff. In September, these changes and it is back to the “usual fulltime work schedule” – Action for the toddlers then starts at 3 pm then when Kindergarten is over. 4. 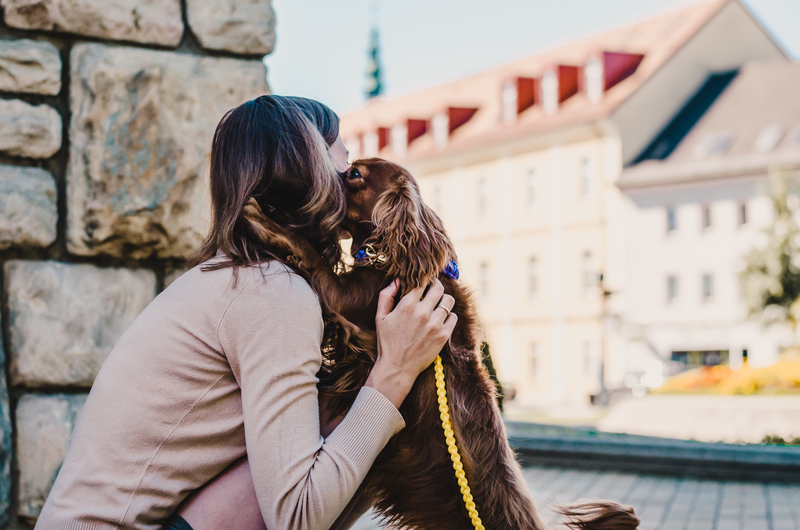 Where did the name of the business come from… your dogs‘ names maybe? Exactly, yes! The name came from the names of our family pets. 5. 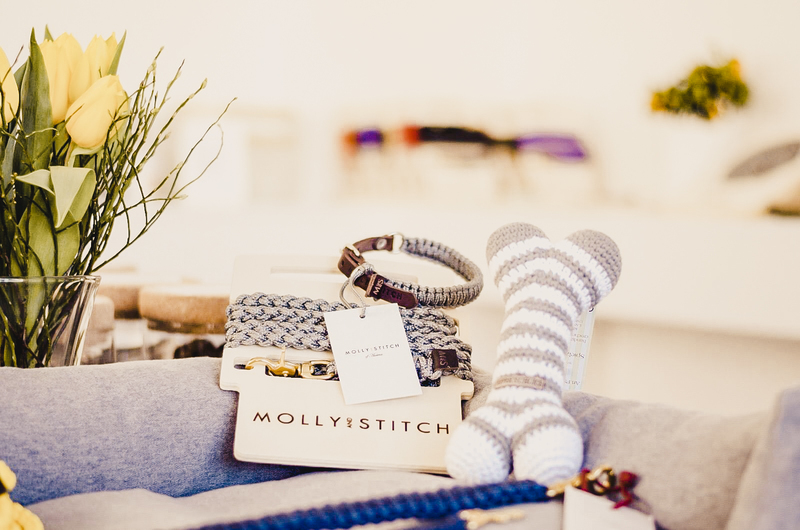 Molly and Stitch is your second business. What advice would you give to other moms starting a business? Exactly, my first company was in a completely different branch. Nanny´s and household services. I have to say I’m very happy to be able to sell something tangible, something in which quality you can rely on. Even though I have to say I learned a lot from my first company. I couldn’t have learned so much as an employee. I think it is important to be convinced of your product, to stand behind it with passion and make it fun. There will days when mistakes will happen and days when success is not achieved, but each of these days will help you go to sleep and get back on the game with more mental strength. I would say, never give up. But at the same time be smart enough to spot your weaknesses and learning to let go if necessary. Most importantly I would say, it’s all about balance. 6. While running your first company there were no kids involved. Now you are a mom of two. What have changed the most and what are your major challenges? The biggest difference is that now, at the end of the day I am physically and mentally exhausted. However, you get used to it and it becomes “the new normal”. Sometimes, my night sleep reduces to only 2 hours. Having a toothless child doesn’t help of course, but I am not planning on quitting any of it, my family or my business. This is exactly why I say that my passion for this brand is literally everything for me – It is what helps me stay productive throughout the day. The rest is all about your organizing skills really. 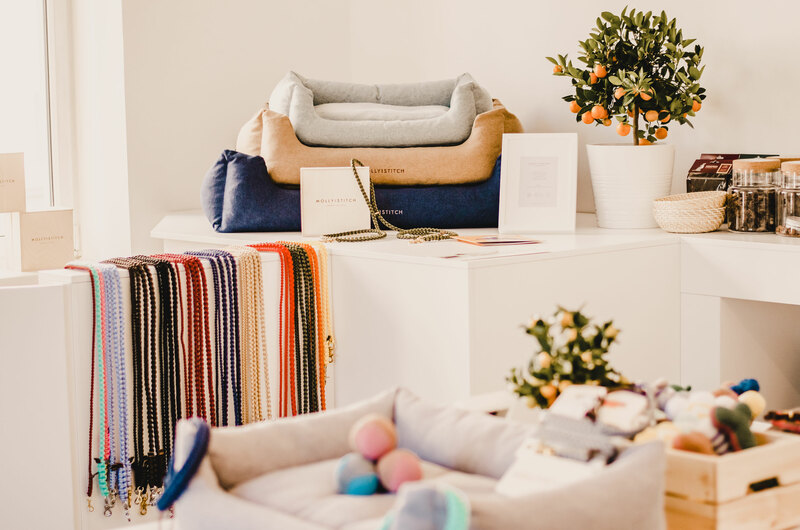 Having no nannies or my family for emergencies like high seasons or sick children doesn’t make it any easier, however, I have structured my business in a way that I can have at least two free days throughout the week to be able to be with the kids. The biggest challenge is to recharge my energy level over and over again, but the children and the business are always under good care. 7. What are your secrets to finding your balance between work and family? And, do you have a secret superpower? As I said before, the children and the company are my balance. In fact, I would say that the company is keeping my family balanced and vice versa. As for myself, I honestly never feel “in balance”, but I am not that type of person either. Superpowers… I don’t believe I have any, however, if I could choose one it would definitely bring the toddlers to sleep throughout the whole night…! 8. How old were you when you started the business? And what has been your biggest challenge as a Mompreneur ever since you started being an entrepreneur? I was 27 when I founded Moly and Stitch which I started as a sole proprietorship and would later become a GmbH. My biggest challenge as a MOMpreneur was when our daughter was born and I was on maternity leave. Since they are so close in age, my maternity leave extended and that meant a lot of time outside the office. I had to let go of things and let my husband take over a lot of things that I really love doing. So my biggest challenge was to accept and let go of these things for a while. I had a lot of time to think and that made me go a little mad in the end. 9. 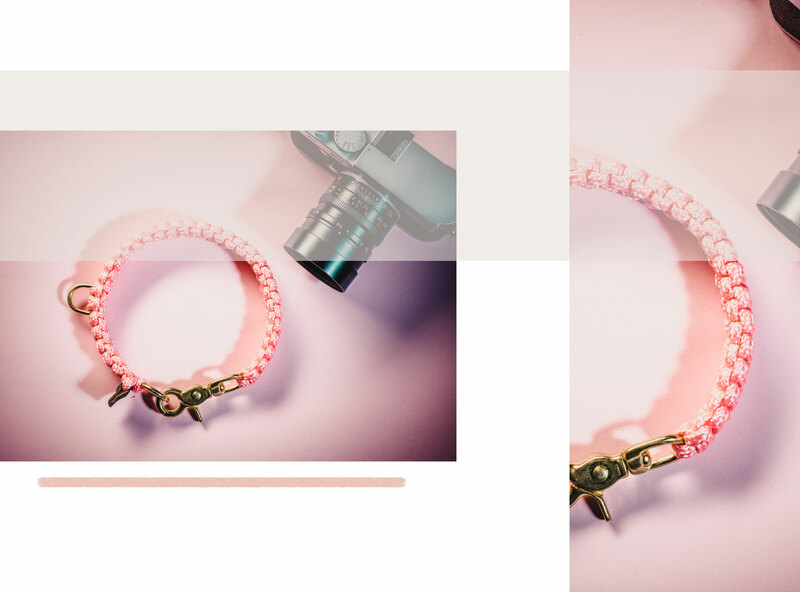 Designing accessories for dogs is so unique that it must be challenging – where do you get your inspirations from? 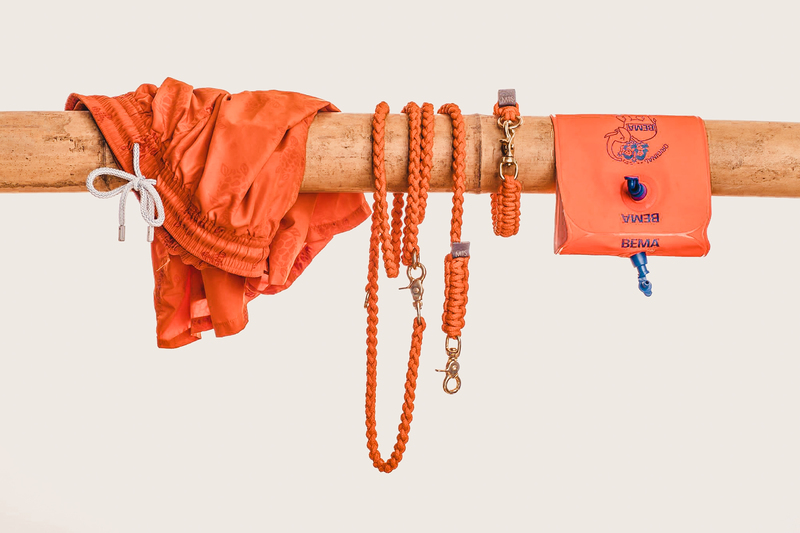 Do your children participate in the processes of designing new collections? The biggest challenge would be to leave your own taste aside and think about what the customer would like. The customers’ needs, what they find beautiful and what they would like to see. I get a lot of inspiration from my two passions, interior design and nature. I might be going for a walk with the children when I suddenly come across a new colour. For example, last Autumn, the falling leaves had a red wine hue that was mesmerizing. Our bestseller, accessories in “Aqua” tone – the same colour as the Wörthersee. So yes, our children and dogs are always a part of the design process. 10. Lena has Pharo (a.k.a. “Pharo the Dog”), he sometimes “comes to work” and is also part of the mit Handkuss team. Is your atelier/office full “working dogs” too? 11. Sometimes days are long and hectic. What do you like to do to unplug after a busy day at work? What I do the most is using the short ride to the office to turn the music on, sing and dance like no one was watching – I love this part of the day! Sometimes, when I have a little more time I sneak to our horses which is fortunately not far away from the office. I quickly check on them and “ask them how they are doing” and head back home. 12.Lastly and most importantly… Morning coffee cup or afternoon glass of wine? 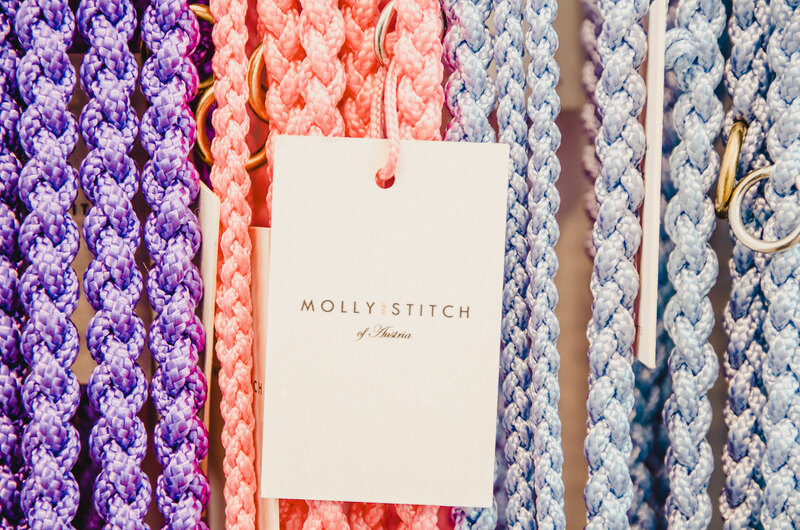 Hinter der Marke Molly and Stitch steht Louisa – sie gründete sie mit nur 27 Jahren. Heute lebt sie in Klagenfurt am Wörthersee … und ist überglücklich. Denn hier kann sie ihren Kindern genau das bieten, was sie selbst so liebte: Das Grüne, die Nähe zur Natur, Freiheit und Spass. Louisa hat zwei kleine Kinder, einen zweijährigen Buben und eine kleine bald Einjährige. Zur Familie gehören allerdings auch zwei Hunde, Suri und Micky. Übrigens ist Louisas Familie sehr international ausgerichtet. Ihr Ehemann hat schon fast überall auf der Welt gearbeitet. Louisa jedenfalls könnte jederzeit umziehen oder auch einfach nur verreisen. Das Schlimmste für sie wäre Stillstand (und da hat sie recht!). 1. Wie fing alles an, und wann? Hast du dir einen Traum verwirklicht, oder gab entstand Molly and Stitch aus der Not? 2. Für dich ist wichtig, dass deine Produkte in Österreich hergestellt werden. Verkaufst du auch im Ausland, oder gibt es Pläne für eine Erweiterung ins internationale Geschäft? Wir stehen international schon für Qualität in unserem Segment. Es gibt kaum jemanden der diese Flechtweise in der Menge und Qualiät liefern kann. Wir produzieren mitlerweile auch nicht nur Hundezubehör sondern auch für andere namenhafte Firmen. Bezogen auf unser Hauptgeschäft, Hundezubehör, sind wir bereits weltweit vertreten. 3. Wie sieht bei dir ein typischer Montag aus? Für mich sind Montage immer sehr positiv. Ich freue mich aufs Büro und dass ich wieder weiter arbeiten kann. Es ist meine Passion. Also stehen wir um 6 Uhr auf, Frühstück und doggies füttern, dann ab in den Kindergarten. Ich spiele immer noch 30 Minuten mit den Kindern im Kindergarten und dann fahre ich in die Firma. Gehe mal ins Lager, weil ich liebe diese Farben schon in der Früh zu sehen und weil es mich motiviert was wir geschaffen haben. Naja und dann Büro. Ab 12:30 habe ich dann wieder die Minis bei mir und wir machen irgendwas lustiges. Aber das ändert sich ab September weil ich dann wieder Vollzeit arbeite under Sommer vorbei ist. Aber dann wird eben ab 15 Uhr losgelegt mit Action für Minis. 4. Wo fandest du den Namen für sein Geschäft? Sind es etwa Hundenamen? Der Name stammt von Haustieren aus unserer Familie. 5. 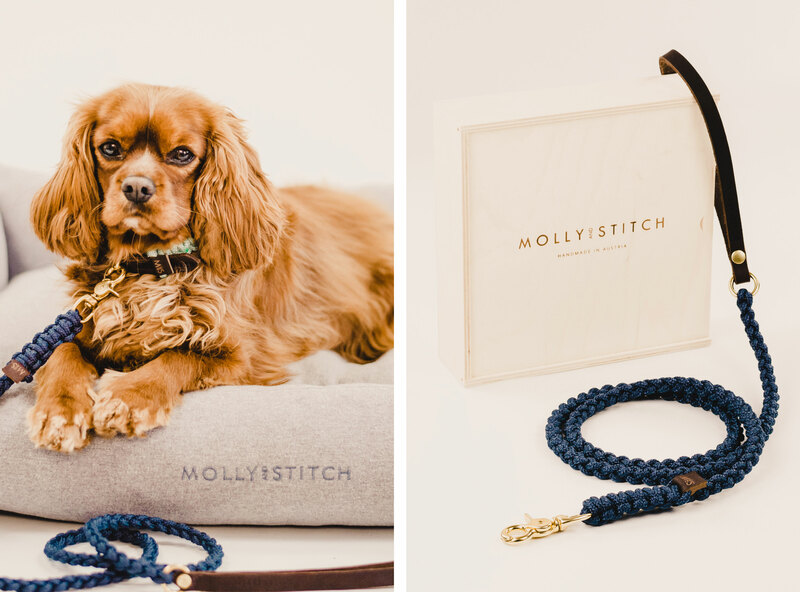 Molly and Stitch ist dein zweites Unternehmen. Welchen Rat kannst du anderen Müttern geben, die ein eigenes Geschäft aufbauen wollen? Meine erste Firma war eine ganz andere Branche , Dienstleistung. Nanny´s und Haushaltsvermittlung. Ich muss sagen ich bin sehr glücklich etwas handfestes zu verkaufen also ein Produkt.Auf dessen Qualiät kann ich mich verlassen. Ich habe viel gelernt durch mein erstes Unternehmen. Ich hätte das aber auch nicht als Angestellte lernen können. Ich glaube es ist wichtig überzeugt zu sein von seinem Vorhaben , mit Leidenschaft und Spass dahinter zu stehen. Es gibt Tage an denen Fehler passieren können und Tage an denen man den Erfolg schlecht hin erreicht aber an jeden dieser Tage muss man mit der gleichen Überzeugung und der gleichen mentalen Stärke aufstehen und auch wieder schlafen gehen. Nie aufgeben, sich aber auch von Ideen trennen können und los lassen können. Wichtigste : Unterm Strich muss die Bilanz stimmen und das emotionslos. 6. Als du dein erstes Unternehmen hattest, gab es noch keine Kinder. Heute hast du zwei Kleinkinder. Was hat sich geändert, und was sind die grössten Herausforderungen? Verändert hat sich, dass ich jetzt geistig und körperlich erschöpft bin und zwar fast jeden Tag. aber man gewöhnt sich daran und irgendwann ist es Normalität.Jetzte gerade bin ich so müde und habe eine Nacht mit zahnendem Kind hinter mir, in der wir vlt gerade mal 2 Stunden wirklich geschlafen haben. Da ich auf nichts verzichten will, weder auf Kinder noch auf mein Unternehmen, muss ich da durch. Desshalb sage ich- Leidenschaft für sein Unternehmen ist das wichtigste, das trägt einen durch jeden Tag. Der Rest ist nur Organisation, also ohne Nannies für den Notfall oder meine Familie, könnten Hochsaisonen und kranke Kinder kolledieren. Aber ich muss sagen ich bevorzuge immer meine Kinder, weil ich es in der Firma so weit strukturiert habe einen oder zwei Tage für die Kinder immer frei schaufeln zu können. Also Challenge ist eher meine Energien immer wieder aufzuladen. Firma und Kinder sind immer bestens versorgt. 7. Wie hältst du Arbeit und Familie in einem gesunden Gleichgewicht? Hast du geheime Energien? 8. Wie alt warst du, als du mit deinem Unternehmen anfingst? Was waren seither deine grössten Herausforderungen als Unternehmerin? Ich war 27 jahr alt als ich Molly and Stitch als Einzelunternehmen gegründet habe… die GmbH entwickelte sich im Laufe der Zeit. Meine größte Challenge als mompreneur war eigentlich als unsere Tochter auf die Welt kam und ich in Karenz gegangen bin. Zwei Kinder haben eine Karenz verlangt. Ich habe die wichtigsten Dinge zwar noch geleitet in der Firma aber der Alltag im Büro war weg. Also meine größte Challange war zu akzeptieren und los zu lassen, Kontrolle in der Firma etwas meinem Mann zu überlassen und die Kinder haben meine Aufmerksamkeit verlangt. Es gab viel Leerzeit in meinem Kopf. Das hat mich lange verrückt gemacht. 9. Das Entwerfen von Hundezubehör ist sehr speziell. Woher nimmst du deine Inspirationen? Helfen dir deine Kinder? Challenge beim designen ist eigentlich seinen eigenen Geschmack immer nur etwas einfliesen zu lassen und immer den Kunden im Kopf zu behalten, was er will, was er schön findet oder braucht und sich leisten will. Ich hole viel inspiration aus meiner Leidenschaft für Interior und aus der Natur. Oft gehe ich mit Hunden und Kindern spazieren und plötzlich sehe ich diese unglaublich schöne Farbe.. es war Herbst und die Blätter hatten ein Weinrot das so bezaubernd war… oder unseren Bestseller “ Aqua“ die Farbe im Wörthersee beim schwimmen hat mich da einfach gefangen. Also ja unsere Kinder und Hunde haben immer einen Part bei der Entwicklung. 10. Lena hat Pharo, und ab und zu geht er mit zur Arbeit. Er ist also Teil des mit Handkuss Teams. Gibt es auch bei dir “arbeitende” Hunde? Ich kenne Pharo, ein entzückender Kerl 🙂 Ja unsere Hunde und die unserer Angestellten dürfen alle mit in die Firma. Wobei nicht jeden Tag ein Hund da ist. Die kommen und gehen wie sie wollen 🙂 manchmal haben sie keine Lust auf Firma. 11. Manchmal sind Tage sehr lang und hektisch. Wie entspannst du nach einem solchen Tag? Ich liebe und nutze meine zwar kurze aber doch herrliche Autofahrt von der Firma nach Hause, drehe die Musik laut auf, singe und tanze und dann gehts wieder 🙂 oder ich mache einen Abstecher zu unseren Pferden die glücklicher weise nicht weit von der Firma auf der Weide stehen… frag mal die Pferde wie es ihnen geht und dann erst ab nach Hause. 12. Zuletzt die wichtigste Frage: Kaffee am Morgen oder ein Glas Wein am Nachmittag?